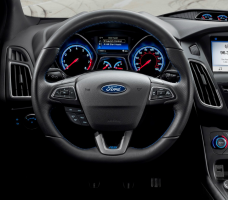 Ford Fiesta and Focus transmission lawsuit will be settled concerning PowerShift transmissions. March 27, 2017 — A Ford transmission lawsuit settlement is on the way as the automaker agreed to settle the class-action lawsuit concerning Ford Focus and Fiesta dual-clutch "PowerShift" transmissions that jerk, hesitate and shudder. The settlement, once approved by a federal judge, will include about 1.5 million model year 2011-2016 Ford Fiesta and 2012-2016 Ford Focus cars with automatic transmissions that caused Ford to issue two customer satisfaction programs. Customer satisfaction program 14M01 extended the warranty coverage for the transmission’s input shafts, clutch and software calibration in Fiesta and Focus cars manufactured prior to June 5, 2013. Then the 14M02 program extended the warranty on the transmission control module to 10 years or 150,000 miles for specific 2011-2015 Fiesta and 2012-2016 Focus cars, but the plaintiffs say neither program fixed the shuddering and jerking. Lead plaintiff Omar Vargas filed the initial transmission lawsuit after complaining about the PowerShift transmission lunging or jerking forward when attempting to decelerate. The plaintiff says the transmission also hesitated and jerked when attempting to accelerate. Ford marketed the Focus and Fiesta transmissions as combining the best features of automatic and standard transmissions, but Vargas said he started having problems with his 2011 Ford Fiesta soon after his lease began and made multiple visits to Ford dealers to have the transmission repaired. The lawsuit alleges Ford knew the PowerShift transmission was defective and a safety hazard but concealed that knowledge from consumers. 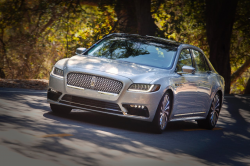 However, Ford denies there are problems with the dual-clutch transmissions and has agreed to settle the class-action lawsuit to save on the time and expense of additional litigation because the automaker had already dealt with other similar lawsuits. Another suit alleging the same claims, (Klipfel v. Ford Motor Company), was first filed in San Luis Obispo Superior Court in 2015, then that suit was moved to the Central District of California and Ford promptly filed a motion to dismiss. Ford’s motion to dismiss was denied and the parties later agreed to consolidate the Vargas and Klipfel lawsuits. Owners and lessees of 2011-2016 Ford Fiesta and 2012-2016 Ford Focus cars will have options such as cash payments and reimbursements, credits towards the purchase of new vehicles and the repurchase of affected cars through an arbitration process that allows claims to be submitted for up to six years from the date of original sale. The settlement, once finalized, entitles affected owners to cash payments from Ford for the hassle of taking their cars to dealers for repairs that didn't work, even where owners have incurred no out-of-pocket costs. In addition, the transmission settlement provides affected Fiesta and Focus owners two types of repairs. Owners who have three or more service visits for a replacement of one of the primary transmission parts will receive $200 for the third service visit, with increasing payments for each additional visit. Instead of cash, an owner may receive a discount certificate toward the purchase of a Ford vehicle for twice the cash value. All total, owners may collect up to $2,325 in total cash payments or $4,650 in discount certificate value. The settlement also provides owners a way for Ford to repurchase or replace their defective Fiesta or Focus through a settlement-created private dispute resolution (arbitration) program paid for by Ford. This program will allegedly resolve the claims of each qualifying owner based on his or her state’s lemon law and do it in one or two months, compared to a typical lemon law action in court that would take a year or longer. And finally, the transmission lawsuit settlement provides owners who believe they were either improperly charged for repairs or denied repairs that should have been covered under Ford’s New Vehicle Limited Warranty a way to pursue these warranty claims in a more limited arbitration. Ford will also cover the cost of the arbitration and the arbitrator is authorized to award an owner reimbursement for out-of-pocket costs and complimentary repairs or warranty extensions by Ford. Additionally, the settlement provides full reimbursement to owners who replaced a third clutch after having had two clutches replaced within the 5-year/60,000 mile powertrain warranty for certain vehicles. The replacement clutch will come with a 2-year warranty. 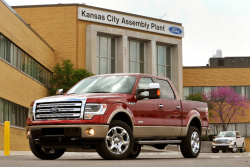 Although Ford has agreed to the settlement terms, a judge still must make the settlement final. Fiesta and Focus owners with questions should contact one of the law firms that represent the plaintiffs, or wait for mailed notifications. The plaintiffs are represented by Capstone Law APC, Berger & Montague P.C., and Zimmerman Law Offices P.C. The Ford transmission lawsuit was filed in the U.S. District Court for the Central District of California - Omar Vargas, Robert Bertone, Michelle Harris and Sharon Heberling, et al, vs. Ford Motor Company.